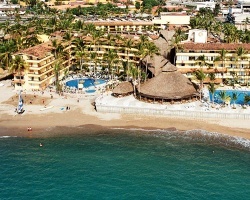 Located in the heart of Puerto Vallarta is the the all-inclusive resort *Las Palmas by the Sea*. Sun bathers and water-sports enthusiasts flock to this popular vacation destination for its pristine beaches, exciting activities, and delicious local cuisine. Lovely shops, cafes, golf courses, adventure sports and tours can be found just a short distance away from the resort. On-site, visitors can indulge in the abundant amenities and all-inclusive options, including sampling the buffets, soaking in the panoramic Jacuzzi, and lounging next to the pool or on the beach. 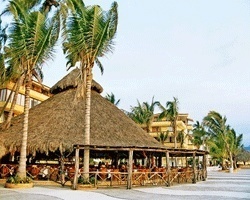 For more information about this resort, visit www.laspalmasresort.com. All inclusive oceanfront resort! Floating, gold/red week annually. RTU until 2025! Make an offer! Floating gold week! RTU until 2025. Price is negotiable!